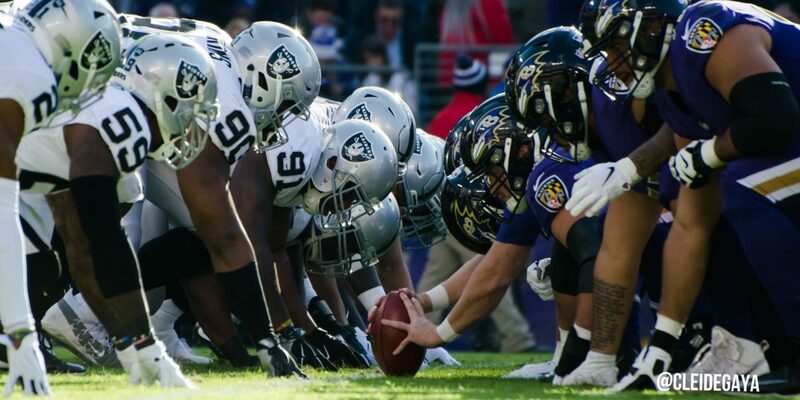 The Oakland Raiders traveled to Baltimore looking to build on last week’s win against the Arizona Cardinals but the Ravens proved to be too much to handle. 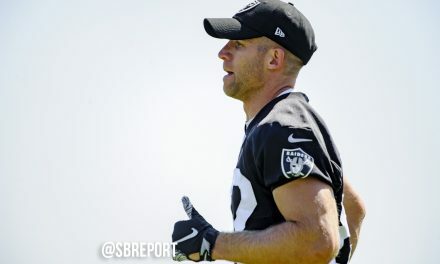 Jon Gruden and the Raiders offense have found success scripting their opening drive and that continued in Baltimore. Quarterback Derek Carr and the offense took their opening drive 81 yards on 12 plays into the end zone with a touchdown by running back Doug Martin. The touchdown gave Oakland 34 points on their opening drives this year, fourth best in the NFL. Unfortunately for the Raiders, not every drive’s script worked so well. The Raiders were able to muster up just three more points in the first half despite recording an interception from Reggie Nelson and Marcus Gilchrist each. Meanwhile, the Ravens used special teams to get into the end zone for the first time. Cyrus Jones found a seam in the Raiders punt coverage and took the return back 70 yards for the touchdown to give the Ravens a 13-to-10 lead at halftime. The Raiders defense struggled to slow down the run all game, giving up 242 yards on the ground, the most since 263 against the Vikings in 2015. Ravens rookie quarterback Lamar Jackson had a lot to do with that, carrying the ball 11 times for 71 yards and a touchdown that extended the Ravens lead to begin the second half. Carr responded well on the ensuing drive, leading his offense 75 yards on just six plays. 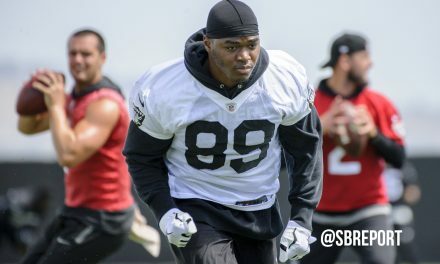 The highlight of the drive came on an acrobatic catch in the corner of the end zone from tight end Jared Cook. The score kept the Raiders in pace with the Ravens, keeping it a three-point deficit at 20-to-17 in the third quarter. In the end, the Ravens proved to be too much to handle for the Raiders. Jackson used an impressive 17-play drive to once again extend the Ravens lead, this time finding former Raider Michael Crabtree for an eight-yard passing touchdown. The Ravens defense is one of the best in the league for a reason and it wasn’t ready to give up the team’s lead. Instead, they extended it. Veteran Terrell Suggs scooped up a fumble by Carr and returned it 43 yards for his third-career touchdown. Carr and the Raiders were unable to put any more points on the board, falling 34-to-17. The Raiders offensive line struggled once again, this time giving up a sack by LB Matt Judon on three consecutive plays. This was the first time it’s happened since Cullen Jenkins did it in 2006. Carr has now been sacked 35 times this season, the most for any Raiders quarterback since Andrew Walter was sacked 46 times in 2006. Things don’t get any easier for the Raiders as they host the Kansas City Chiefs next week at the Coliseum.